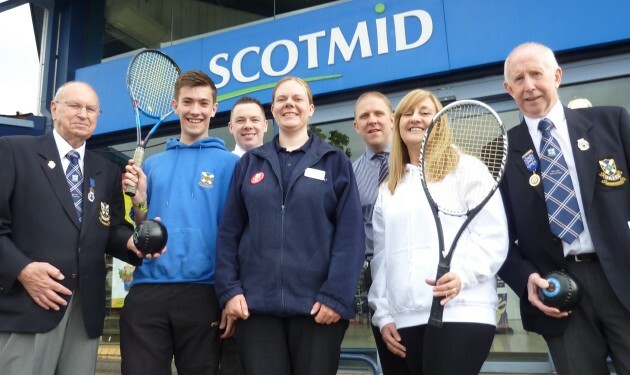 Scotmid staff with members of the Uddingston Tennis and Bowling Club. Uddingston Tennis and Bowling Club has received a donation from Scotmid Co-operative, to encourage more people in the local area to try out the sports. The community grant of £200 will be used for fun days for the local community, raffle prizes and tournaments. Scotmid donates around a quarter of a million pounds to local causes through its community grant scheme each year. Applications are encouraged for projects that support children and education, active lifestyles, the environment, health promotion, the elderly, homelessness, Fairtrade, arts and culture, and charity. Community groups and projects can apply by completing a community grant form from their local Scotmid store or online at www.scotmid.coop. Community groups and projects must meet certain criteria to be considered for funding. The applications are then considered by their Regional Committee before being awarded.